After the race, Coach Jojo Macalintal and his coaching team will be leading a demo on proper running form and provide instruction on drills and techniques to improve your run. 1 All Participants are required to complete and sign the Official Entry form containing the requisite Waiver/Release declaration. 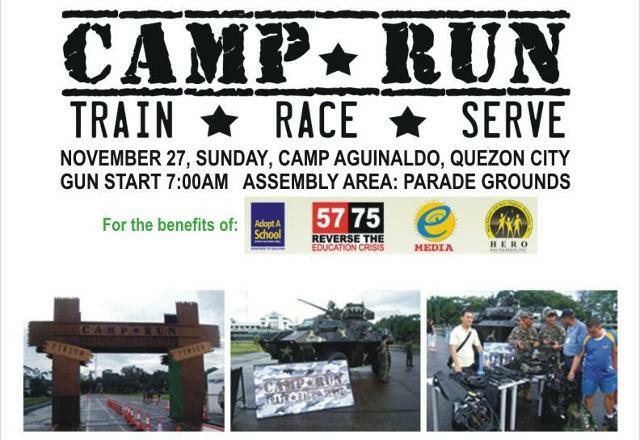 Submission of the signed Official Entry form or participation in the race as a registered Participant (even in the absence of a genuine signature in the Official Entry form) shall serve as conclusive confirmation of (a) the Participant's consent to the Waiver/Release printed in the Official Entry form and (b) the Participant's agreement to abide by the rules and regulations of the Camp Run™ Series 2011. 2 While every reasonable precaution will be taken by the Organizers to ensure the Participants' safety, it is understood that Participants run at their own risk and the Organizers shall not be responsible or held liable for any injury, disability or death arising from training or occurring during participation in the race. Participants are strongly encouraged to undergo medical check- up and/or consult medical practitioners prior to registration and before the actual race day. 3 Participants must wear the assigned Bib Number on his/her chest. 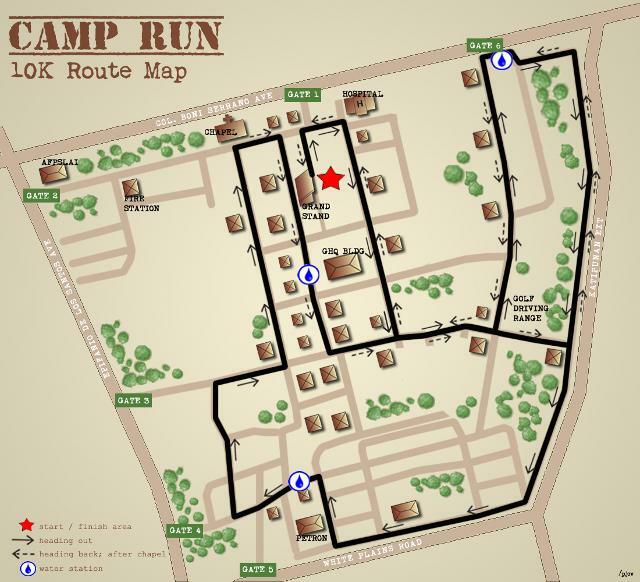 Participants not wearing Bib Number will be taken off the course by security officers and will be banned in participating in future Camp Run™ Series races. 4 Partial Road Closure will be lifted after two (2) hours from the commencement of the first race. Participants will then continue on the footpath at their own risk. 5 A Participant must retire from the race immediately, if required to do so by any member of the official medical staff, Race Director, and Security Officer. 6 Pets, bicycles, in-line skates, prams, push carts, shoes with built-in or attached rollers and any other wheel run objects are not allowed on the course other than official race and medical vehicles. 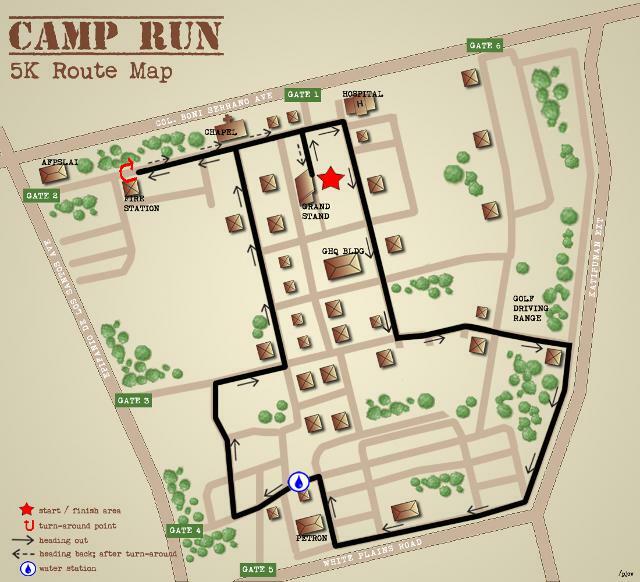 7 Once registration has been duly processed, there will be no entry fee refund for Participants who for whatever reason do not eventually take part in the Camp Run™ Series 2011. 8 There will be no entry fee refund if the event is cancelled on account of force majeure or for causes beyond the reasonable control of the Organizers. 9 The Organizers reserve the right to use any photographs (including those of Participants), motion pictures, recordings or any other media records of the Camp Run™ Series 2011 for any legitimate purpose, including commercial advertising, without giving monetary consideration to any Participant. 10 The Organizers reserve the right to limit and/or refuse entries without giving any reason. 11 The Organizers will not entertain nor be in any way responsible for any disputes arising from incomplete entry details. 12 Race routes may be subject to changes for safety and traffic reasons. 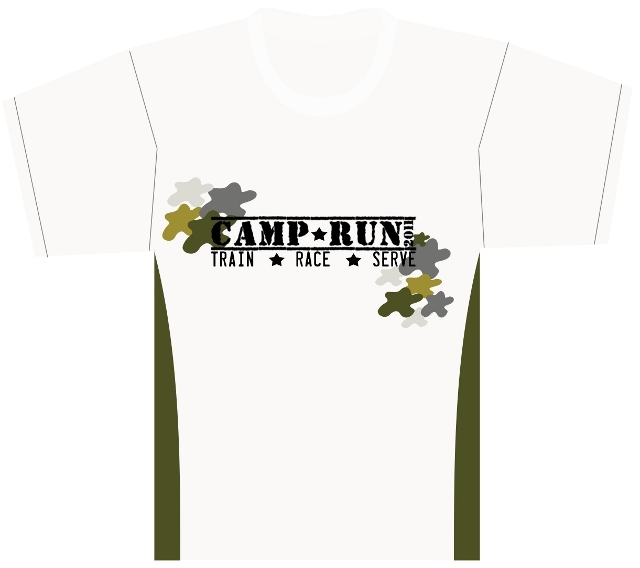 13 Race category and race entry are strictly non-transferable. 14 Participants who commence before the actual start time of his/her Race will be disqualified. 15 Participants under 18 years must have the waiver signed by a parent. 16 The organizers decision is final. 17 For all other Participants, disputes and appeals regarding the results must be submitted in a written format, including electronic mail within 3 days from the race day. Organizers reserve the right to not entertain any dispute or appeal after the given grace period. 18 The Organizers reserve the right to require the participant to present official documents necessary to support the disputes or appeals made.